As the pressure to move cargo more quickly and with minimal errors increases, having a reliable wireless network is necessary. Cyzerg estimates that 7 out of 10 warehouses of small and mid-size businesses are experiencing issues with their wireless warehouse networks. Our experience in overhauling wireless design in warehouses has helped us to understand the root problems surrounding underperforming and unreliable wireless networks. A reliable wireless infrastructure reduces inefficiencies and errors associated with constant disconnections of handhelds, wireless printers, computers, and rugged tablets. Companies that have successfully implemented an industrial grade wireless infrastructure have positioned themselves with a competitive advantage over those who have not. They have done so by preparing the organization to support more mobility within the warehouse and be ready for upcoming technologies (like the Internet of Things) that will revolutionize the industry.. Here are the 4 critical elements that must be carefully followed to guarantee a successful wireless implementation - and operation. The two root causes of poorly implemented wireless warehouse solutions are related to lack of knowledge and the lack of planning. An example of a warehouse with poor coverage can be seen below. Notice the lack of red. Red represents a strong wireless signal, while blue represents poor coverage. As you can see this warehouse lacks wireless coverage. 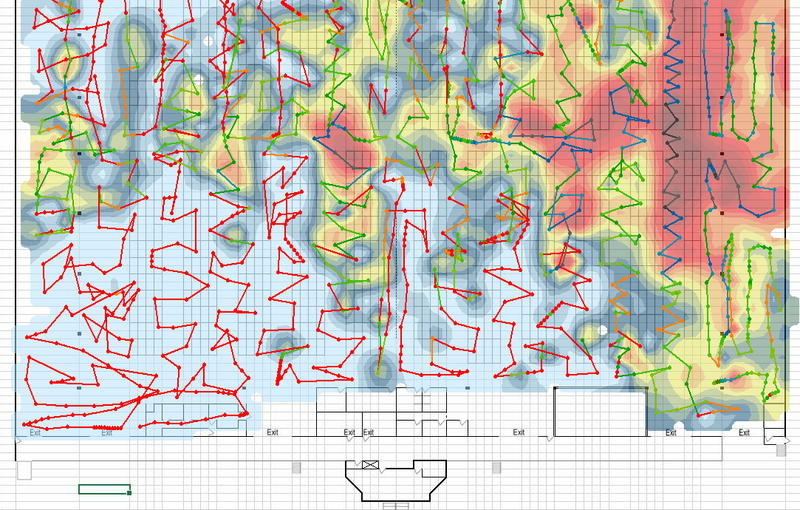 A wireless network survey identifying where the antennas (access points) should be installed in order to avoid dead zones. 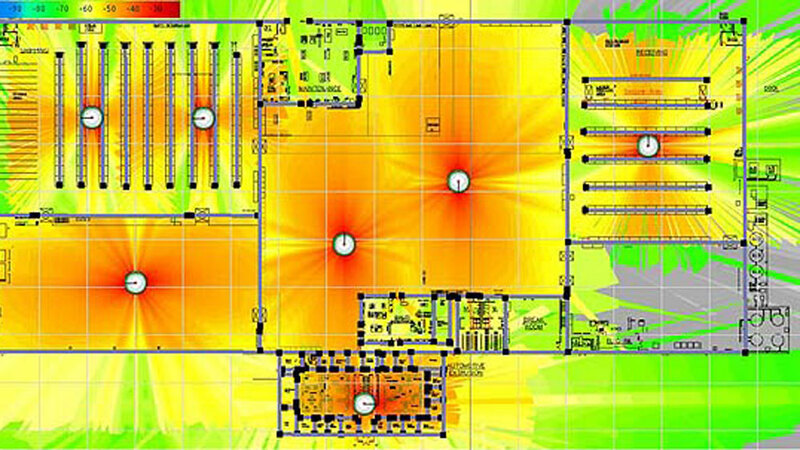 Using the heat map generated from the wireless network survey you can determine what model and number of antennas (access points) you need to install in order to provide sufficient wireless coverage in the warehouse. Determine the type and quantity of wireless devices that are going to be connecting to the wireless network. Not all devices have the same receiving sensitivity so is important to carefully plan what devices are going to be connecting/operating in the wireless network. Carefully consider the environment and obstacles that can result in interferences or poor wireless coverage: high ceilings, racks, shelves, pallets, machinery, power lines and more. Wiring. Although it is a wireless network all access points will be connected to the network backbone. It is important to select the right cable (CAT5e or CAT6), make sure that cable run length remains within the specifications, and that after the installation have been completed the installer certifies each installed cable/run. Selecting the right platform and architecture is another critical component if you expect a successful wireless warehouse implementation. The network in a warehouse is far more complex than the one in your home or office, which is why it requires an industrial grade access point that offers interference mitigation and a stronger signal. Smart industrial antennas can automatically recognize obstacles and adjust wireless channels and power levels to compensate for those obstacles or for when one of the antennas fail – antennas talk to each other and when one fails the remaining antennas augment their power to cover for the failed antenna. For implementations that require more than one antenna, controllers are a must. Wireless controllers automatically track devices connected to the wireless network and forward credentials as devices roam around the warehouse. Industrial and smart wireless solutions can also detect the type of traffic transferred (voice, data, video) over the network, and properly adapt to the requirements of the traffic being transmitted. For example, Voice over IP requires network low latency. Other aspects that must be considered when selecting the a wireless warehouse platform includes choosing the appropriate wireless standard (802.11 A/B/G/N/AC, etc) and encryption security protocols. Another very common and costly mistake is the lack of standardization of the equipment connecting to the wireless network. Here the basic IT best practice of KISS (keep it super simple) is the way to go. Any intelligent fool can make things bigger, more complex, and more violent. It takes a touch of genius – and a lot of courage - to move in the opposite direction. To avoid operation or support related headaches, all wireless devices that are going to be connecting to the wireless network should be of the same model. For example, if using the Honeywell Dolphin 99GX Mobile Computer, then use the same model as the standard handheld solution. If using different models/manufacturers/devices, then you must ensure that wireless devices share the same wireless requirements/characteristics. Above all else, avoid using consumer products. 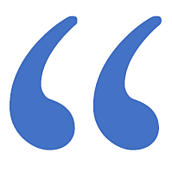 If you do, you will be wasting your money, frustrating your employees, and taking the risk of losing a customer –this industry has no time to waste and errors are very expensive to fix. The most ignored aspect – management and monitoring. In order to effectively manage something, you need to understand and measure it. In the case of systems, the key to understanding acceptable performance and non-acceptable performance is to collect what is known as a system performance baseline. Baselines are generated through monitoring systems by collecting performance data for at least one week. Once enough data has been collected, the monitoring system(s) must be configured to alert and take actions when performance deviations occur. Here at Czyerg, we collect performance baselines for all the systems that we manage and establish alerts and actions for when performance deviates normal behavior. For example, the system automatically opens an investigation ticket when a deviation occurs, then assigns the ticket to a technician and notifies the customer of the problem. This allows the business to detect deficiencies before the problem escalates and the business is brought to a standstill. For some strange reason, this proactive approach is often ignored by decision makers. This is hard for us to understand when we see time and time again that business deficiencies decrease by at least 34 percent when a proper technology management and monitoring systems are put in place. This is yet another opportunity to offer flawless service and get ahead of the competition. Hopefully this article clarified the steps necessary to guarantee a successful wireless warehouse implementation. Remember, properly designing, planning, implementing and managing your business systems is not an expense, but an investment in your company. An investment to reduce employee and customer frustrations, increase productivity and efficiency, and to guarantee that cargo is never late because the handheld (or any other critical device) keeps disconnecting from the warehouse wireless network.